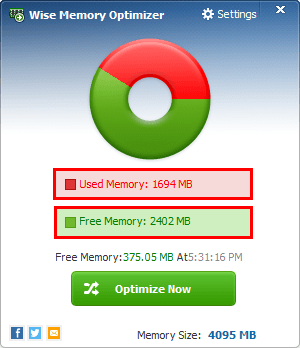 Step 1: The main interface shows the used memory and free memory clearly. 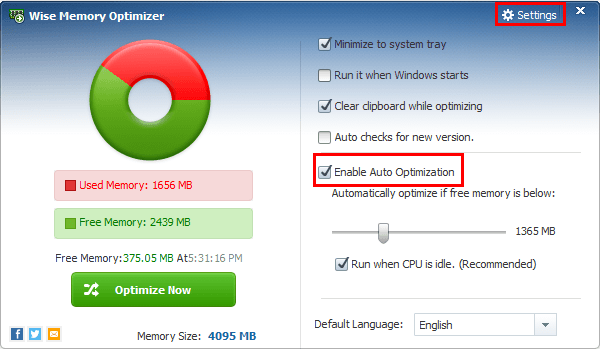 Step 2: If you want to have it optimize automatically, please click “settings” and choose “enable auto optimization”. 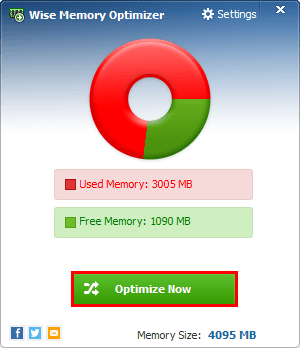 Step 3: Click “Optimize Now”, Wise Memory Optimizer will help you to free up as much memory as possible.